My Vodka is made from Potatoes… right? You don’t know how many times people say to me…..Vodka is made from potatoes, right? That is just one of many signs that most people don’t actually know what they are drinking, so I wanted to see if I can help with this a bit. As a craft distiller, one of our biggest challenges is to educate the consumer on why they should drink craft spirits over the mass produced big brand products. So, we might as well start with Vodka. Vodka is the #1 selling spirit in the US. Most liquor stores will tell you that vodka sales account for somewhere around half of their sales….so it is an important spirit to understand. Nowadays, there are more choices of Vodka than ever, but not really, so let me explain. The Treasure Department Tax and Trade Bureau (also knows as the TTB) is the department of the government that regulates the liquor industry. The TTB publishes lots of regulations regarding liquor including a document called the Beverage Alcohol Manual. This document defines all spirits sold in the US and determines what they can be called on the label of the products. The Beverage Alcohol Manual or BAM chapter four defines type and class of all spirits. For example, whiskey is a class of liquor and bourbon is a type of whiskey….so the class is whiskey and the type is bourbon. There are many types defined for each class, but if a spirit doesn’t fit a specific type, then its classification defaults back to the class. For vodka, the class is “Neutral Spirit or Alcohol” and it is defined as the following: Spirits distilled from any material at or above 95% alcohol by volume (190 proof), and if bottled, bottled at not less than 40% alcohol by volume (80 proof). The key phrase to note in this description is ANY MATERIAL. Neutral spirits can be made from ANYTHING. Under this class designation, there are two types defined: vodka and grain spirits. The vodka type description is as follows: Neutral spirits distilled or treated after distillation with charcoal or other materials so as to be without distinctive character, aroma, taste or color. So, what this means is that vodka can be made from ANY MATERIAL and by definition is produced such that it really doesn’t have any flavor, character, taste, smell or color. So, why do so many people think vodka is made from potatoes? Well, vodka originated in Eastern Europe and Russia. 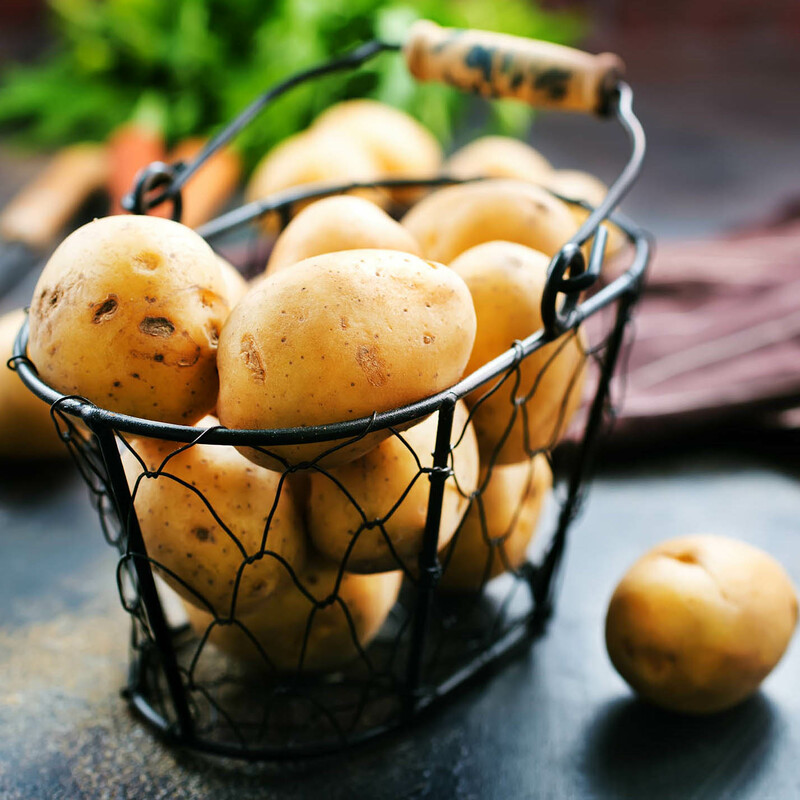 If you are old enough, you may remember that many years ago, Eastern Europe and Russia didn’t have the best farming and didn’t produce a lot of grains, but they did have a lot of potatoes. So, hundreds of years ago, someone over there figured out those potatoes could be used to make booze. It probably didn’t taste the best, so the early distillers probably distilled it a bunch of times to get rid of the flavor. If you distill any spirit to high enough proof, it wont have much flavor. The flavor in alcohol comes from oils that dissolve in the alcohol and evaporate with the alcohol during distillation. The lower the proof coming out of the still, the more oils are carried and the more flavor a spirit will have. The higher the proof coming out of the still, the fewer oils will be carried and there will be less flavor. So, now that we know vodka can be made from anything….what IS vodka typically made from? The reality is that most common vodkas are made from wheat or corn. Here in the US, we grow lots of corn and corn is about half the price of wheat or any other grains. So, there is a lot of vodka being made from corn these days. There are many other vodkas using grapes, sugar cane/molasses, rye, barley, rice, sorghum, fruits and even milk. Below is a link to a Wikipedia page that lists many of the Vodkas on the market and what they are made from. You will notice that there are only a small number of vodkas, mostly made in Poland that are made from potatoes. The bottom line is that the chances are, the vodka you are drinking is most likely made from corn or wheat….but read the label to be sure. Not many vodkas are actually made from potatoes! Previous PostTimber Creek Florida Vodka awarded Gold Medal!